This week has been weird. I feel thrown off by daylight savings (hate!) and my commutes have been pretty unfortunate leading to arriving home late after work and an immediate code red pajama situation. This week's Path rides truly make me question why I fight so hard for New York City. Sometimes the crowds and misery just really get to me and I wish I lived in a backwoods cabin somewhere. In fact, as I draft this on my phone I'm crammed in like a sardine with a woman leaning directly on me and resting her purse on my back. All in all, I'm tired. But I'm really digging the weather we've been having! It's been in the forties which feels surprisingly spring-like after the winter we've had. Oh and, my friend Kristen clued me into the DQ grasshopper blizzard. I hope that happens this weekend! 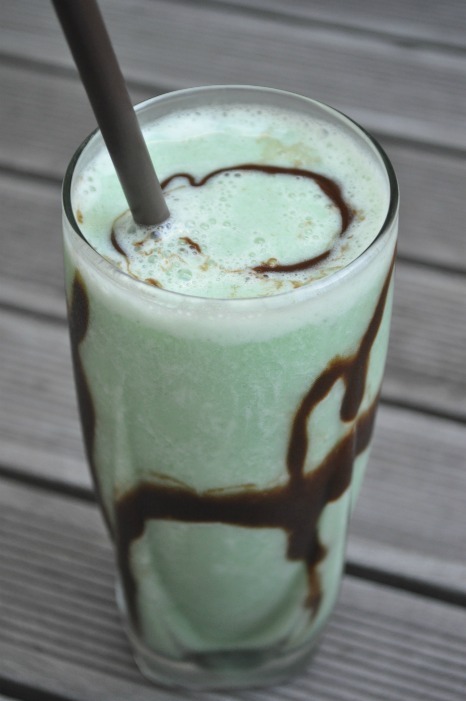 Will you be eating and drinking for St. Pattys Day? I plan to make my favorite Irish soda bread on Sunday (seriously best.version.ever.) and we will likely have beer braised corn beef and cabbage for dinner. Such a delicious indulgence but it only happens once a year! Oh and I finally got P a shamrock t-shirt for school this Friday. Let's see how this one turns out! Penelope, do you want to have some dinner? I'm fine! Penelope, do you want to put your scarf and hat on? I'm fine! Penelope, can we please snuggle on the couch before bedtime? I'm fine! Penelope, can Mommy please have a hug and kiss? I'm fine! In big news, I'm really excited to share my first published magazine article! I wrote a piece for The Digest, a local mag spotlighting all things Jersey City and Hoboken. My article about navigating the Jersey City dessert scene is on pg 55-56. Photos also by yours truly and I have to admit - I had a lot of fun conducting the research for this article! Oh and I'm also quoted on pg 63 about our favorite spots to go in JC with a tot in tow! And my friend Reesa (who connected me with The Digest!) also had a great article on the war against gluten on pgs. 67-68! 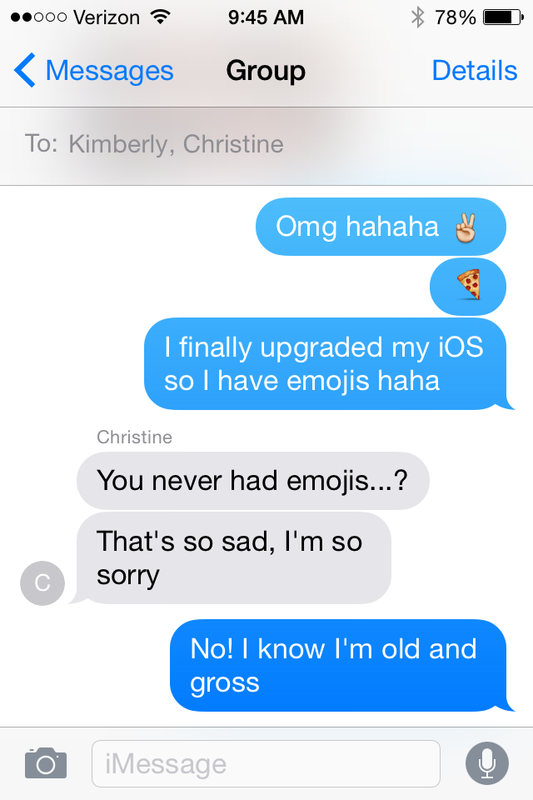 Oh and in very important news, I finally upgraded my phone iOS and got emojis! I know is this 2012? Either way I'm excited. So now be prepared for all the emojis all the time. I'll be back in later this week with an Easter weekend recap, but wanted to pop in today and say hi! We had a nice three day weekend and it was brought down only slightly by the appearance of a sinus infection for me, in all of its glory. I've been sipping tea and popping Advil cold & sinus like it's my job, and it seems like today may finally be a turning point. While I'm still feeling foggy and stuffy, last night was the first in a few in which I could actually breathe slightly through my nose, causing less overnight wake ups due to severe dry mouth. Meanwhile, I'm excited to power through this week because on Sunday morning, I leave for Charleston with my mom and sisters for a long overdue girls weekend and to belatedly celebrate my mom's birthday. I'm so thankful that I'll be healthy and ready to shine by then (here's hoping!). And so in The Great Shoe Saga of 2014, I've been ordering shoes like mad to find the perfect chic yet walkable pair for the trip. I'll keep you posted as to what I land on. We've actually got a lot coming up over the next few weeks (or months, actually! ), including Shaun's birthday next week. Any suggestions for some great guy gifts? Lastly, are you all caught up on Game of Thrones? We caught up last night and all I can say is...wow! I don't know where this season is leading us, but I was happy to say buh-bye to a certain someone...though I'm really concerned over who's going to take the fall for this one...leave your thoughts in the comments! Entertainment Weekly has all kinds of GoT goodies, if you're interested.